We provide a comprehensive re-roofing service to replace your existing roof and install an attractive, reliable and effective new one for you. Our re-roofing service is all about giving you the very best roof and one that will last you for many years to come. We appreciate how expensive repairs can be so we always endeavour to provide you with roofs of the highest quality. As well as flat roofing installations and flat roof repairs we also provide and install roof lights, uPVC fascias and soffits, lead work, liquid plastics and DPMS. 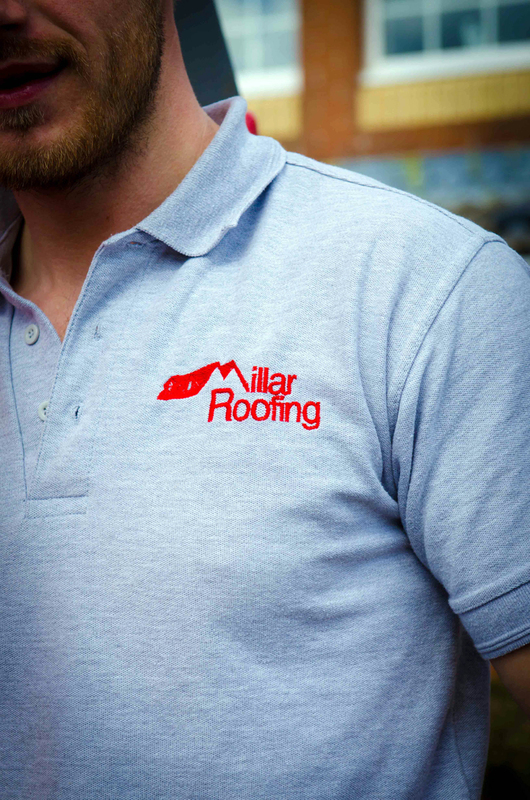 Whether it’s a leaking flat roof, total replacement or simply some advice on which roof or guttering system to use, Millar Roofing are here to help. We provide the complete guttering service to leave you with aesthetically pleasing, durable and reliable results. Our guttering is made from the highest quality uPVC and is designed to comprehensively provide your home or business with protection from general wear and tear, flooding and the water damage that comes from that. Velux windows are synonymous with quality and style. We combine the high quality of these products with the experience of our dedicated roofers and our competitive prices to provide the complete window installation service. We provide a full roof maintenance service designed to identify problems at the earliest stage and professionally remedy them before they turn into a serious issue. Utilising the experience and expertise of our dedicated and professional roofers, we provide a complete maintenance and care service, ranging from a simple one off maintenance check to look for any potential problems to periodic preventative maintenance contracts to make sure flat roofs stay watertight. First class roofing services at very affordable prices. “Thank you Graeme, for your excellent job on my roof and for leaving site clean and tidy. I would certainly use Millar Roofing again should the need arise in the future“.